Getting started kayaking can be a tricky proposal. Their narrow frames are squirrely and using a double bladed paddle can be less than intuitive when first starting out. However, it won’t take long before you realize how advantageous these nimble little watercraft can be. Kayaks are popular for many reasons and finding a beginner kayak doesn’t need to be a difficult process. In this article I’m going to help you learn what it takes to pick out the best beginner kayak for you. Learning to kayak is hard enough, there’s no reason to add the stress of learning how to choose one! That’s why I’ll walk you through what to look for in a beginner kayak, step by step. Then I’m going to suggest a few popular and top rated beginner kayaks that you can get started with quickly, and easily. For more of my top gear recommendations, have a look through these popular Outside Pursuits guide links: Kayak Paddles, Kayak Carts, Kayak Seats. Let’s get right into it! Here is a feature comparison of my 3 top beginner kayaks. Be safe, always wear a life jacket. One often overlooked feature on kayaks is the quality of the seat. Old Town has avoided that problem on the Dirigio by including an amply padded molded foam seat. 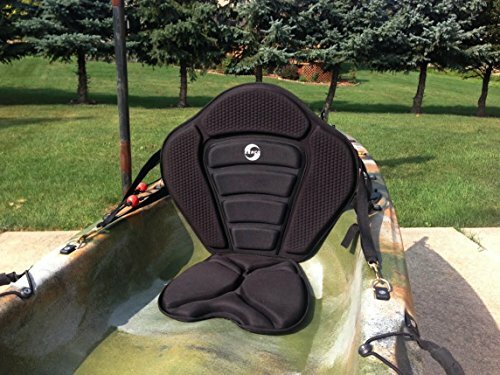 I love the wide shoulders of the seat back which wrap around to fully support the paddler. There’s nothing worse than a back ache from a day of kayaking. On the deck there’s tons of shock cord lashing. These elastic bungee cords can be used to lash down coolers, jackets, fishing gear, or anything else for a day of paddling. There’s also some extra storage room in the dry well behind the cockpit. Put your phone in a ziplock before storing in the hatch though, because it may not be perfectly waterproof. I like that there are included thigh pads and a cup holder in this recreational boat. There’s enough room to relax and move your legs a bit so you don’t feel cramped on a lazy day of paddling the lake with family or friends. Its a tough call, but this is certainly a top contender as the best kayak for beginners! Best For: An all-around quality boat from a great manufacturer. The Malibu is a sit on top style kayak. That means it has tons of leg room, wiggle room, and space to easily get in and out of the boat. Ocean Kayak is the brand name of this boat, not to be confused with an ocean faring kayak. There are two adjustable molded foam seats front and back but there’s a third hidden seat. In the center is space for a child seat which is molded into the plastic of the boat itself. While it might not be as comfy as a foam seat, it’s always there and doesn’t take up space so you can easily adjust to having a child along with you. With up to three people and extra gear along for the lunch picnic, you’ll have to be careful not to overload the boat. There’s a maximum total weight capacity of 425 pounds. With three people and gear that’s not a lot of wiggle room, so be sure to plan ahead if you need an extra boat. If your looking for the best tandem kayak for beginners, this is it! Best For: Tandem paddling with the occasional child passenger. Wilderness Systems makes this awesome sit on top kayak available in no less than 5 different colors! Without a doubt, it earns the honor of being the most colorful boat on our list. You won’t find this many color options anywhere else. At 10 feet long and just over 30 inches wide it’s a reasonable sized kayak. Not long enough to be hard to learn on on, but not so short that it would be “squirrelly”. There are tons of features packed into this starter kayak though. The hull is molded and designed to provide stability. They achieve this by including a multi-chine hull design which provides stability at low and high speeds. There’s a fully adjustable foot rest, dry bulkhead storage, and deck lashing. These provide tons of room for storing gear no matter what activity you’re going out for! Wilderness Systems also gets big points of making the integrated adjustable seat one of the most generous on our list. There’s tons of ergonomic padding that makes a long paddling trip easy to stomach. Overall this is arguably the most feature rich beginner kayak on our list. Best for the upgrade option! Once the kids get too big to fit in the middle seat of your tandem kayak, it might be time to upgrade. Besides, it’s nice to let them tire themselves out in their own boat! Old Town Kayaks, a widely recognized name in recreational boats, made this kayak just for the kids. It had an integrated tag along system which is made specifically to help you tow the kids along if they do get too tired. Trust me, it’s way better than being stuck on the river with a crying child that refuses to paddle! There’s also an integrated molded foam seat that’s made for kids. It’s not adjustable, but that’s both good and bad. While it would be nice to adjust the seat as your child grows, having less straps and things to go wrong is always a positive when it comes to getting children into new sports. Once the kids get above 100 – 115 pounds it’s time for them to move to an adult kayak. Fortunately the kayak itself is lightweight enough that most kids can carry it themselves, at just 26 pounds total. The Heron is probably the best kids kayak available. Best For: Getting kids out of the house and on the water! I love sit on top kayaks for their durability, simplicity, and efficiency. This single person kayak is a sit on top model with tons of space and storage. There’s a sealed hatch for 6” of dry storage which should be enough to keep your keys and phone safe. I find this to be a crucial buying point in a kayak as it’s handy and functional enough to be a critical feature. The molded foam seat on top is generously sized and four way adjustable. That’s not much different than most entry level kayaks, but it is good to see that they didn’t skimp on sizing the seat. A large, comfy seat is key to an enjoyable long paddling trip. The Scrambler has 6 overlapping foot rests molded directly into the boat itself. Unlike adjustable footrests in some kayaks, you use these simply by putting your feet on different pegs rather than adjusting the footrests at all. This is a simple, trouble free design with nothing to break. Ocean makes some of the best beginner kayaks for the money and the Scrambler is at the top of the list! Best For: Single person kayaking where durability and ease of use are the most important factors. This single person kayak is small, lightweight, and agile. Ready to paddle fast water, rivers, or narrow passages you’ll have tons of options. 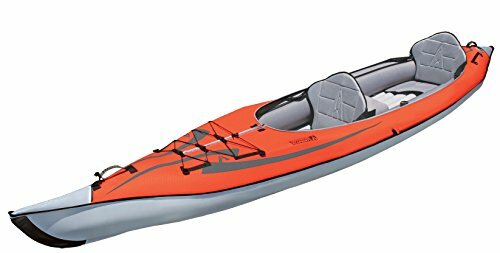 I like that this beginner kayak is smaller than some others on our list because it gives the paddler a lot of control. Of course this boat won’t be quite as good at paddling longer, straight trips as a lengthy boat. At just over 9 feet long it’s enough to track well, but short enough to be one of the most agile boats on our list. There’s a paddle keeper molded into the side of the boat which holds your paddle with a shock cord lashing. On the deck, both bow and stern, there is a ton of deck lashing. That’s an important feature on a smaller boat because there’s little space inside the boat for gear. Unfortunately, there’s no dry storage on the boat which I would have liked to see. If you are looking for the best cheap beginner kayak that is quality made, the Glide is for you! Best For: Fast, narrow waters where agility is more important than efficiency. 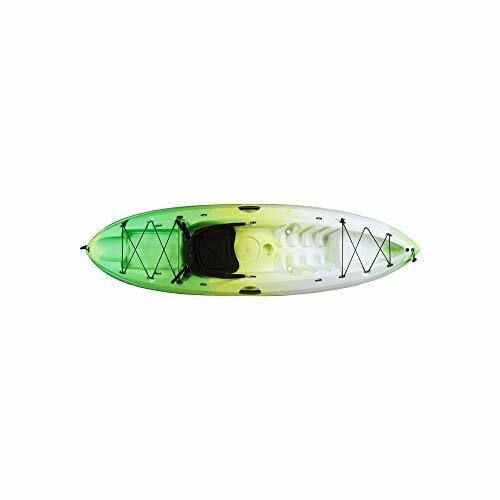 This sit on top kayak by Perception Kayaks was designed with beginner paddlers in mind. At 10 feet in length, it’s a good size for all around paddling. Long enough to track well but not too long that its hard to maneuver. I like they have two compartments for dry storage. A larger one in the bow and a smaller one right behind the seat. They also included storage compartment in the rear of the boat with bungee rigging to store plenty of gear and of course a PFD. Another handy feature is the paddle keeper molded onto each side of the kayak, great when you want to take a break from paddling and not having to worry about your paddles falling overboard! The “CSS” or Comfort Seating System might be the best part of this kayak. They really made an effort to include a comfortable seat. And if your not comfortable, its hard to enjoy your time on the water! Complete with bow and stern handles and molded foot rests this may be the best beginner kayak on our list. Best For: The beginner paddler who wants the most comfortable kayak on the market! Some parts of picking out your new kayak might be obvious but others are not so much. Here’s a few things to keep an eye on when you pick out your new boat! By the end of this guide you’ll know what to look for when buying your new kayak. Kayaks come in many varieties and buying the first boat you can find may not be the best move. It all starts by thinking about what type of kayaking sounds the most fun to you. Are you interested in paddling fast waters down narrow canyons in giant whitewater? Or do you prefer to head out fishing alone on a lazy evening in the small lake out back? Maybe you and a partner love to paddle together and want a kayak that can store enough gear for a camping trip? No matter what the situation is, there’s a kayak out there for you. However, the best whitewater kayaks won’t make great fishing boats. Of course, the inverse is also true. So, what’ll it be then? Fishing Kayaks – Are made specifically for anglers. These usually have some extra space for gear and enough room to get comfortable. 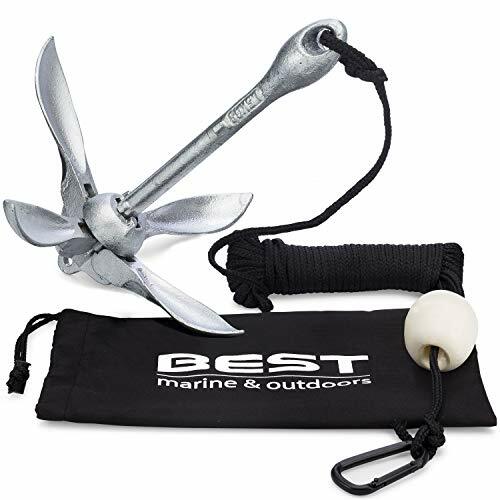 You’ll also want fishing specific items like rod holders and maybe even an anchor. Whitewater Kayaks – Are made for the unique challenges of paddling rough, fast water. If you live in an area with good whitewater paddling and you plan to partake in this sport then a dedicated whitewater kayak is your best option! Do not try to use a recreational kayak for whitewater – it won’t end well. Recreational Kayaks – Are probably the most common type of beginner boat. They’re usually made to paddle gentle rivers, flat lakes, and other less demanding situations. These boats are comfortable and easy to use, they’re also generally quite affordable. They don’t have a specific job but instead they’re made to do a little of everything. Touring Kayaks – Are generally purpose-built boats that perform well in open waters on long journeys. They’re usually made for speed, efficiency, and long trips. These boats often have room for camping gear and they’re made to take on the rigors of paddling unique situations such as sea kayaking. Tandem Kayaks are boats made to handle two paddlers. These can come in just about any flavor so long as the boat has room for two people. This usually means two separate cockpits unless it’s a sit on top kayak. Folding and Inflatable Kayaks are alternative choices that can be great options for some. These inflatable kayaks can literally be folded down or blown up to fit into backpacks, cars, and easy carrying spaces. They’re still usually pretty heavy, but at least they’ll fit in the back of an SUV instead of needing a roof rack! Sit on Top Kayaks – Are a relatively newly popular trend in the boating industry. 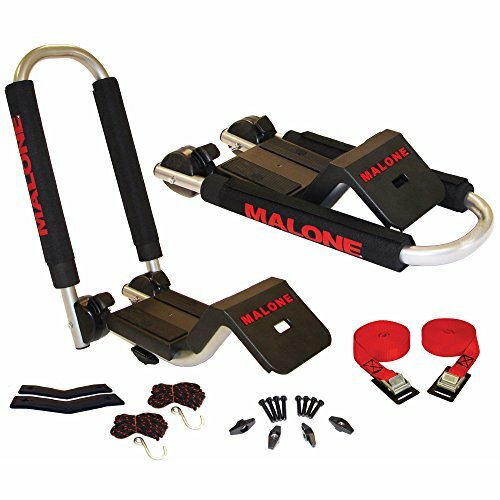 They offer many advantages such as simplicity, durability, ease of use, and self-bailing. Because you sit on top of the kayak there’s tons of wiggle room and space for gear, beer, or goodies. 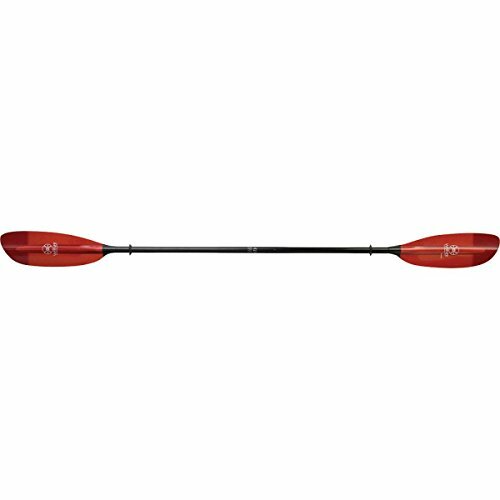 These make excellent fishing kayaks and recreational kayaks! Sit Inside Kayaks – Like a sit on top kayak, sit inside kayaks have a seat and foot pedals/pegs so you can get comfortable paddling. However, instead of being on top of the kayak you are in an enclosed cockpit. With this type of kayak you have some protection from the elements and you can attach what is called a “spray skirt” giving you even more protection from the wind and water. Let’s look at some pros and cons of each type to figure out which type is best for you. Which is Better: Sit-in-Kayak or Sit-on-Kayak? Where Will You Be Kayaking? Will it be primarily on calm/sheltered water or in the ocean? Keep in mind a sit-in-kayak will protect you from the elements much better and you have the ability attach a spray skirt giving you even more protection. Are Worried About Tipping The Kayak Over? A sit in kayak is stable because you are sitting lower in the kayak and have a lower center of gravity providing more stability. Just keep in mind it is hard to get back in AND it is possible to submerge a sit-in-kayak. What Weather Will Be Using It In? If you will be using the kayak in cold water/weather conditions, a sit in kayak may be best for you because they protect you more. If its primarily a warm weather only sport, then a sit-on-top might be the better option. You can find kayaks made from all sorts of different materials but there are a few common types. For beginner kayaks these are mostly two different kinds of plastics. Of course advanced (and expensive) kayaks made from wood or composite fiber can be found, too. Polyethylene – Is the material of choice for inexpensive beginner kayaks. Polyethylene is durable, abrasion resistant, and can stand up to tons of wear and tear. These kayaks are by far the most common and the type you’ll probably find at most retail sporting goods stores. However, they can be fragile when punctured, such as running into a sharp rock. They’re also the heaviest option and are susceptible to UV damage from prolonged storage in the sun so keep them in the shade. ABS (Acrylonitrile-Butadiene-Styrene) – ABS plastic is the second most common construction material for kayaks. It’s a little lighter in weight and offers some mechanical superiority when compared with poly boats. ABS is naturally a bit more resistant to UV light than polyethylene but you’ll still want to store them in the shade for longevity. Kayaks come in all sorts of lengths. For beginners, usually any budget priced boat will be sized fine for recreational use. If you’re going with a more purposeful use for your kayak, such as whitewater or sea touring you’ll definitely want to pay attention to the length of your boat. Since boat length is a very specific topic depending on what kind of kayaking you want to do, we’ll leave the full discussion of that topic for another article. However, what you should know is that short boats are more agile. Longer boats don’t turn as fast, but they track straighter in the water and usually can be paddled at higher speeds more efficiently than shorter boats of the same type. Keep in mind that kayaks can range from 7 feet to 14+ feet in length. If your vehicle or storage space is small, you may want to carefully consider whether the boat you’re choosing will fit your needs. You may or may not find beginner kayaks that are available in the width and depth that you want. Of course with very high end or custom made kayaks, you can choose these characteristics with great precision. However, beginner kayaks do have some variance when it comes to how wide and deep they are. Wider kayaks offer more rotational stability. They’re great for getting in and out of the boat or if you’re worried about tipping. These boats will help you stay stable and upright more like a canoe. The downside is that the wider hull creates more drag and friction, thereby slowing you down with each paddle stroke and adding extra work to your trip. Deep kayaks have a lot of room inside the cockpit. These boats have a deck that extends well above water line and they sit high in the water. They’re ideal if you want more legroom or space to stretch your knees a bit while paddling. The downside is that the higher the hull profile, the more easily your boat can catch wind. You might not be able to buy a custom kayak, but you can compare beginner kayaks side by side to see which one has the features you want! Spray Skirt – Having a spray skirt is common among whitewater and touring boats. The skirt prevents waves and water from entering the cockpit and keeping you protected and warm. Rocker – One of many design considerations to consider in a kayak. The amount of rocker tells you the amount of arc shape that the front of the kayak has. Skeg – A skeg is a detachable or retractable fin that when in the water stabilizes the kayak and helps you keep the kayak in a straight line. Rudder – Similar to a skeg, a rudder is used to control the direction of the kayak. Q: Do you prefer sit on top or traditional kayak hulls? A: Personally? Well… I think it really depends on what I’m doing. Sit on top kayaks are awesome for getting in and out easily. They also rock as fishing kayaks thanks to the extra arm and leg room plus several key fishing accessory possibilities. However, if I’m going to on a longer trip I probably want to have a traditional “sit inside” type kayak. They tend to be a little more efficient over longer distances. You can find a lot more refined types of traditional kayaks such as sea kayaks, racing kayaks, and whitewater kayaks. Unless you need a specific type of kayak it’s probably best to just go with a sit on top model. They’re easier to use and more versatile for general recreational use, especially if you’re only going out once in a while. Q: Are the paddles that come with my kayak any good? A: This really depends on how much you spend on your kayak I think. Manufacturers usually try to save pennies, and who can blame them? Unfortunately, that means that cheaper kayaks (if they come with paddles) tend to come with awful quality paddles. That’s not to say they’re garbage and need to be thrown out. No, in fact, if you’re only occasionally using the kayak for recreational weekend floats with friends that entry-level paddle may be all you’ll ever need. For long trips covering many miles, such as a paddle-camping trip, you may want to upgrade. The more time you spend in the kayak and the more distance you need to cover, the more important it is to upgrade. But, what makes a paddle good? I look for lightweight first and foremost. Carbon fiber or composite paddles are amazing. 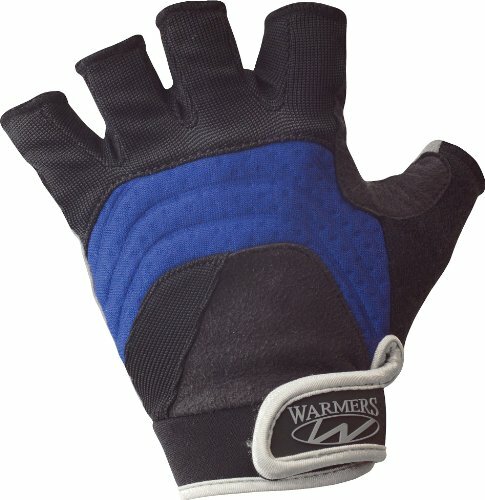 Look for ergonomic hand grips and consider wearing paddling gloves if covering dozens of miles a day. Q: Am I required to wear a life jacket? A: First off, just to clear things up, they’re often called personal floatation devices or PFDs. Because “they’re not guaranteed to save your life”. To find out for sure whether or not you’re required to have a PFD you need to check your state laws. Depending on where you live the laws may be different and can vary from “required to wear” to “required to have onboard”. Of course, the smart thing to do (and we recommend) is to always be wearing a PFD. 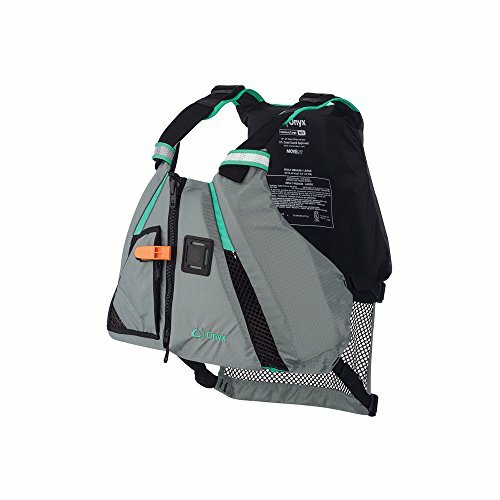 High-back PFDs are ideal because they get out of the way of the seat. This helps with posture and sweat. Look for mesh-backed PFDs like this one. Q: What’s the best way to transport my kayak? A: This one really depends a lot on your situation. If you don’t have a roof rack on your car you can get one installed by a car accessories shop. Or, you can use a side carrier for your car or SUV. 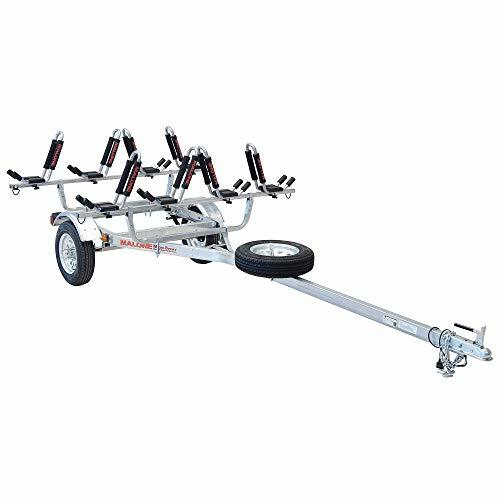 If you’ve got a hitch you might be able to use a kayak trailer as well. For those of you with a truck you can probably just toss the kayak into the bed of the truck. If you’ve got more than one or they won’t fit, consider a trailer or a bed-rack. If you’ve got a small car you can use the easy foam block and strap method of carrying a kayak on top. Q: What are those little black screw-in storage holes for? A: Almost every kayak has some type of storage. The first kayak I ever got just had a simple stern storage bin with a shock-cord lid. It wasn’t very secure and certainly wasn’t waterproof. However, most mid-rang or high-end kayaks come with some kind of built-in waterproof storage. These usually look like little 6” circular black plugs in the deck of the boat somewhere. They can be on top of the deck, between your feet, or behind you. It all depends on the boat. These are waterproof storage hatches and you need to learn to love them. Not only are they waterproof, but if your boat flips they keep things from falling out and sinking (like your phone). So I always store high priority items and electronics in them. At the very least, make sure your keys, wallet, and phone get in there before you get on the water! 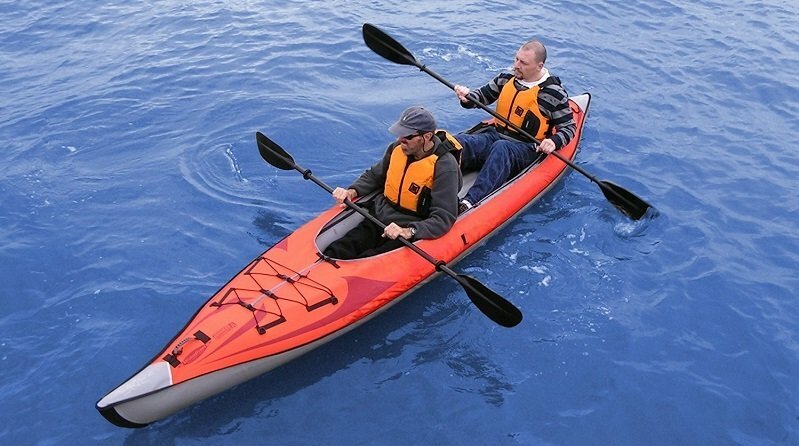 Ocean Kayak -We feature several of this brand of kayak for good reason! They have been around for decades and have a wide range of kayaks including several excellent beginner models. Wilderness Systems – Founded in 1986 are best known for their fishing kayaks but they also feature a excellent lineup of beginner kayaks. Perception – Having been around for over 40 years they have perfected the kayak! They have what may be the most complete lineup of kayaks of any manufacturer. Overall the kayak buying experience doesn’t have to be difficult. There are many details to learn as you begin your kayaking hobby but beginner kayaks aren’t particularly complicated. Of course, if you want more information it’s always a great idea to head to your local outfitter. Learn about particular kayak models and see what type of kayak works the best for you. Then you can come back to your list of beginner kayaks and find the one that fits your budget! One last thing before we wrap up. Once you have your kayak you will probably need to transport it. 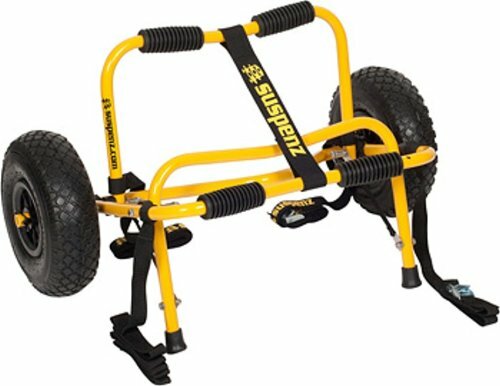 Here are my recommendations for kayak trailers, roof racks and kayak carts to transport it to the water. I hope this guide was helpful for finding the best beginner kayak to fit your needs. If you want to comment or recommend a kayak I didn’t include, please use my contact form to get in touch.